Police found a middle-aged man and woman dead inside a Grover Beach home Thursday evening with illegal narcotics and drug paraphernalia at the scene. 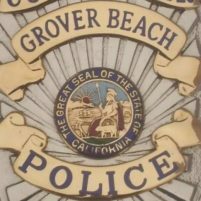 Grover Beach police have not revealed the suspected cause of death, and they say there were no signs of obvious foul play. However, police say they are investigating the relation of the drugs to the deaths. Both police officers and Five Cities Fire personnel arrived at a home in the 100 block of Newport Avenue at about 7:45 p.m. in response to a report of an unconscious adult woman. An officer who was the first to arrive at the scene found the woman and the man in the same room of the home. They were obviously deceased, a police department press release states. Detectives from both the Grover Beach Police Department, as well as the San Luis Obispo County Sheriff’s Office, came out to scene. The county coroner will conduct autopsies for both the man and woman to help determine the causes of death. Authorities are withholding the identity of the man and woman pending the notification of relatives. Investigators request that anyone who has information about the case contact Detective Brad Carey at (805) 473-4511 or bcarey@gbpd.org. I’m pretty sure I knew the woman, that’s her house, she used to do bookkeeping for me! Really sad if it’s her, waiting for them to release the names! Hey, if that’s the way you want to go……. If the residents of Grover are going to continue to act like this, we’re going to have take back that “Beach” name and return the “City” reputation they previously had. How many beach front homes are in Grover Beach?………………..wait for it…………………. Putting lipstick on a pig doesn’t make it not a pig.